Deirdre has been missing for over 20 years. Michael and Bernadette Jacob at Naas Garda Station last month. GARDAÍ INVESTIGATING THE potential murder of missing woman Deirdre Jacobs have identified persons of interest who they wish to speak with. Investigators carried out a number of significant enquiries over the last 12 months to establish her whereabouts since her disappearance. New information gathered in that time led gardaí to reexamine the case’s status and, this morning, a murder probe was confirmed. Chief Superintendent Brian Sutton told TheJournal.ie that the process started 12 months ago. “We pulled apart the investigation. Detectives from Kildare along with officers in the serious crime review team have been working on this. “We saw new lines of inquiry that needed to be followed and new information had come to light as well. We sat down around six weeks ago and decided to reclassify this as a murder investigation. He also confirmed that more than one person of interest has been identified. Chief Superintendent Sutton said that he expects searches to be carried out in the coming weeks and he urged anyone whose “moral compass” may have changed to come forward. He said that gardaí will be re-interviewing people and are also appealing for anyone with any information to get in touch. Deirdre’s parents Michael and Bernadette said this morning’s news has left them shocked. Gardaí have taken more than 2,000 statements and followed over 2,500 different lines of inquiry during the 20-year investigation. 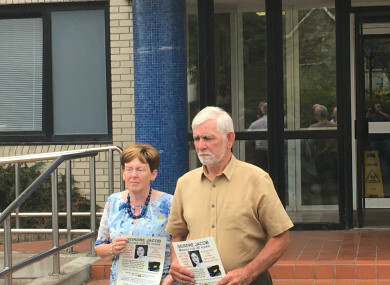 Email “Gardaí identify persons of interest in new Deirdre Jacob murder investigation”. Feedback on “Gardaí identify persons of interest in new Deirdre Jacob murder investigation”.